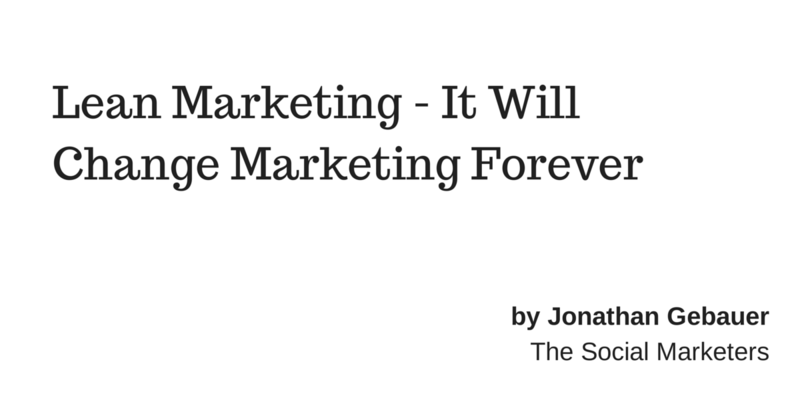 And a new generation of marketers is already doing it, changing the landscape of marketing forever. Lowering the costs and generating results that old school marketers can only dream about. What Is the Concept Behind Lean Marketing Strategy? Lean marketing principles are based on the concept of Lean Startup. The concept of “Lean” was described in detail first by Eric Ries in his book “The Lean Startup”. It has since been used by many Startups to successfully build products that customers really want. Similar methods have been adapted by companies of any size and very often improve products and innovations – while lowering the price of development and research tremendously at the same time. To enter the loop you have to first identify a problem and then create the most simple solution you can think of. The “Minimum Viable Product” or MVP. 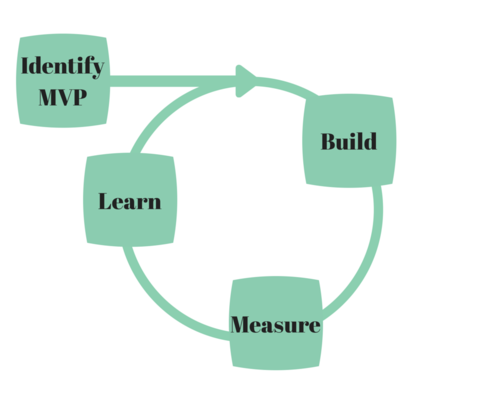 Once you have your MVP, you start measuring reactions and generating data. There is a lot of methodologies you can use, tools you can apply, etc. Not the point of this article. Once you have your data, it is time to learn: What needs to be improved, does the product really solve the problem, why do customers not convert, … Your learning is the basis for the next step. You start adapting again – you enter the “Build” phase of the loop again. And from there you constantly improve. The point is to enter an agile development approach to the solution, where the startup can continuously improve and adapt – without becoming too expensive to handle or too complex to change. There is a lot more to the process than just this step by step instructions. Eric Ries describes methodologies to measure and examine the data, questions to examine and ways to identify whether to pivot or go out of business. Again, not the point for us today. 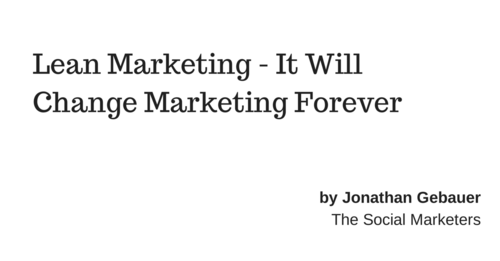 Instead, let’s find out why this is important for marketing. Traditionally, marketing is like training a dragon: It’s expensive to get the right tools (you need to be fireproof), you need to get it right from the start (or you die), and you will never know whether you get it wrong until it is too late. In the old days, marketing was tied to expensive and slow advertising channels, Public Relations and a lot of untested assumptions about your own brand. Today things have changed. Advertising can be started on a budget with tools like Google Adwords, Facebook Ads and numerous others coming at Pay-Per-Click pricing. Advertising results can be examined on the fly – with measuring traffic and conversions on your site for instance. Brand recognition itself can be examined and measured (for instance via examining Facebook fanpages and engagement). Growth hacking was the first approach to adapting marketing for the new age. Growth hackers adapted parts of the lean startup approach to marketing – by rapidly testing different marketing channels and measuring the results. It is no wonder that growth hackers often come from a product management or development background. A growth hacker rapidly tries out tools, messaging channels and methods, then measures the results and focuses on the methods that work, scaling them upwards. How can this be adapted to marketing? As a marketer, you are presented with a “finished product” most of the time. So, what do you do, at least in the average project? You meet with the team, define your hypothesis about the product and it’s appeal, define the message and then the advertising approach and material. Most decisions will be based on untested assumptions and data from different projects that were marketing different products. The idea of a Minimum Viable Approach is to gather data on the go, but for data to be usable, you need to be as specific as possible. For instance, when you are selling men’s clothing, you will not be successful with targeting all men in the US. Instead you have to refine this until you have a highly targeted group, for instance: Men between 31 and 45, single, often dressed casually, with a higher income, etc. Once you have that – come up with messages. And find a distribution channel where your audience is present. This is key: Find a distribution channel that you can test easily. This can be Google Ads, Facebook Ads or a Fanpage, Twitter, … It is vital that you can test it fast and cheap and that you can measure. Now you can start! Buy some traffic or generate some – and measure. Once you have enough data, test a different message. Compare the results. Learn and adapt. Change your message, repeat. Examine why a message didn’t work. Swap out messages. But don’t just go trial and error! Know what you want to achieve with each message and then measure whether you achieved it. You should also try different distribution channels – because audiences react differently in different situations. Sometimes Facebook works great, for other times, LinkedIn might be better. Running all these tests, you should identify combinations of these that work well. In growth hacking, you would now try to scale these up. In lean marketing, you will work on unifying them to an overall approach. Unify your message, build a brand from what you are doing. You will add new segments of your target audience to the mix. Instead of finding simple growth approaches, the idea of “Lean Marketing” is to end up with a unified marketing strategy based on real-time data. All these different tests you perform will become part of your general marketing strategy, step by step, dataset by dataset. Given enough time and effort, this is the first time in history, which you have the chance of generating an integrated marketing strategy without the help of untested assumptions. The best social media strategy is a tailored approach for your situation. To achieve that you need to know the most important content distribution channels, how they work and the differences between the channels. Then you can choose the most promising channels to start your lean marketing process. 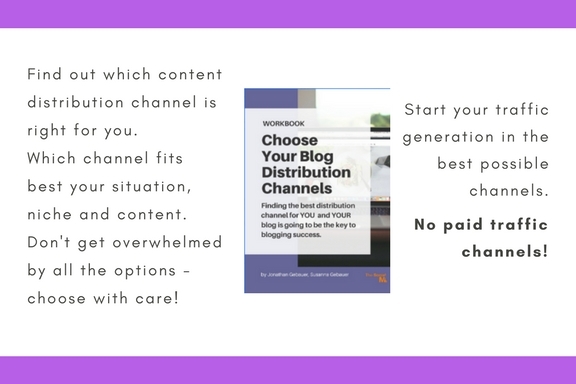 Our ebook “Choose Your Blog Distribution Channels” can help you get started the best way possible. 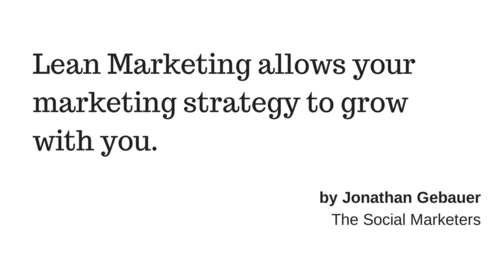 Lean Marketing for startups allows your marketing strategy to grow with you. Growth Hacking might take your startup a long way, but it also might take you to a dead end. It is great for a while, but then you often start from the beginning again. A Lean Marketing Strategy, on the other hand, has the power to let you identify the message that lets your product speak to the customer – which is any marketer’s dream. And it doesn’t matter whether you are a small time blogger or a big corporation, this new way of marketing is open for all. 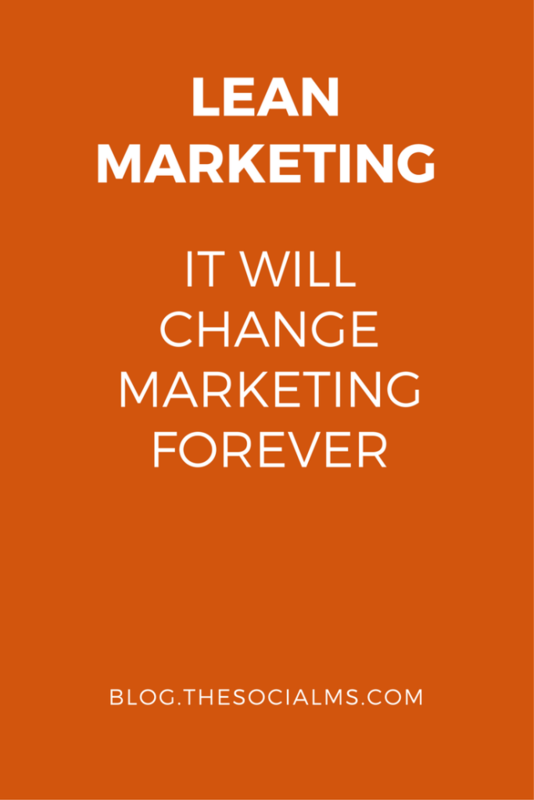 In today’s world, everyone is marketing something – even if it is just you. There is one additional opportunity that I want to talk about: The integration between a lean innovation environment and a lean marketing environment. Lean Innovation and Lean Startup are ways of identifying opportunities for solutions of problems and constantly iterating them. Lean Marketing is a way of bringing solutions to customers – or bringing customers to solutions. If you can execute on both at the same time, you can integrate your customers into your development process – at any time of the product lifecycle. It would be above the scope of this article to talk about this in detail, but it is worth mentioning it. Do you find Lean Marketing Principles as inspiring as I do? Or do you believe it to be a dream that won’t come true? I want to hear what you think, so please talk to us in the comments!